Haben slaben Rebecca le animor! Boom-de rai-de ai-de pah! Con-slomadee hob-dob bolde bar! Bolde bar! Con-slomadee hob-dob rah! O C Rah! Good morning, folks! Just starting out today’s edition of Funny Names in the News with the legendary cheer of Occidental College, “Io Triumphe” (that’s an i, so it sounds like “Yo Triumphe”), which my dad learned during his Cal Tech years in the 60’s, and passed on to me and my siblings over the years! How is this related to funny names in the news? Well, saying Bolde Bar! is super fun, and I want to meet someone named Rebecca le Animor, but more importantly, Io reminds me of Jupiter’s moon Io, and this gets us to something truly awesome. Our Intergalactic Planetary Correspondent, Mark “The Spark” Sackler points out that they’re naming exoplanets, and doing so in the most delightful way – by an online vote! 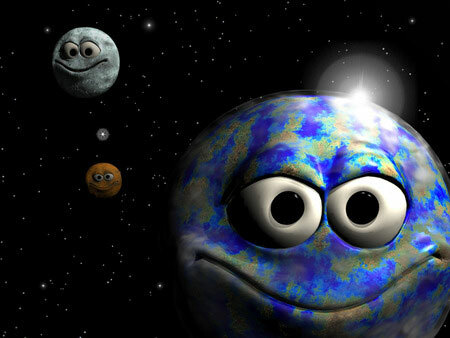 Search Google for “Funny Planet,” and this is the first result! Gvov for Ain (epsilon Tauri). Misopan (a soybean paste bun) for Edasich (iota Draconis). This one gets bonus points for the peculiarity of naming a planet after a food, and going for the ordinary instead of the lofty, meaningful names others have come up with! But those names only scratch the surface of the awesome proposed planet names! Go ahead and vote for planet names, and then let us know your favorites in the comments! 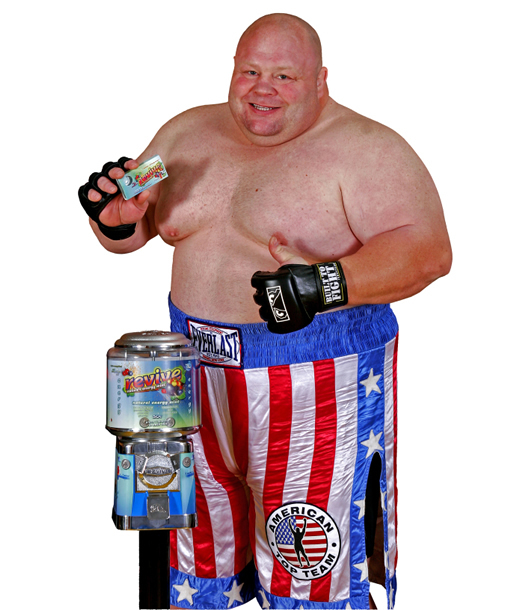 Butterbean – a big man, with big talent, a big personality, and a candy machine to advertise! Moving from distant worlds, to the wide world of sports, Arto and Dave played trivia last week (what a surprise, I know!) and had a little fun with the name of Eric “Butterbean” Esch. Not just the name, but the guy’s overall splendidness! Can we name a planet Butterbean? How can we make this happen? Butterbean! It’s just so fun to say! A while back, he decided to make a transition to MMA and Kickboxing, compiling a pretty solid record there too! Butterbean went on to split a two-fight series with the talented Wesley “Cabbage” Correira. Not sure what it is with these food names, but I like it! Melvin Webb’s Peculiar Purple Pontiac! 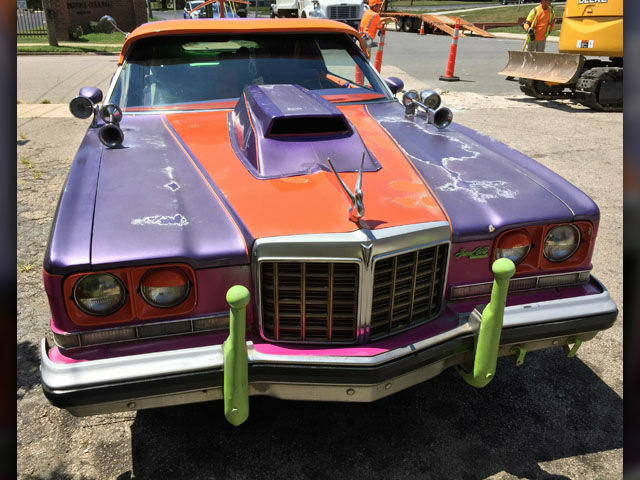 In North Carolina news, we are pleased to report that David Whisenant’s hunt for the owner of the Peculiar Purple Pontiac has come to an end, as the Peculiar Purple Pontiac possessor was found to be Melvin Webb. Eureka! The best thing is that Melvin’s attire is as colorful as his car, and his name! Can we please name a planet Peculiar Purple Pontiac? How can we make this happen?!? Thanks for joining us for another edition of Funny Names in the News, and if you figure out how we can name a planet “Butterbean” or “Peculiar Purple Pontiac”, please please please let us know! Until next time, take it easy like the googly-eyed people on Kerbey’s recently unearthed Lucky Strike ad! This entry was posted in Uncategorized and tagged astronomy, entertainment, humor, humour, sports. Bookmark the permalink. The Earth could revolve around Butterbean, Arto. And the light reflecting off that pallid belly of his, I’m shading my eyes as we speak! Please, Eric, do not hunt me down and kick me into the next galaxy. Oh shoot, I forgot to change the author!!! The draft was created under Arto’s name, but I ended up stepping in and writing it because the blond guy is on a plane to Boston en route to Iceland and Finland right now! I really really think they should name some celestial object after Butterbean! It would make me very happy! That needs to be happen! I’d become way more interested in astronomy if they made that happen! “Butterbean” is so fun to say! My favorite planet name nominee is Jiyaiantobaba for a famous Japanese wrestler. If that name wins the vote, it could be up for two Horseys at the end of the year…for both news and sports funny names of the year. Wow! Our first ever Double Winner would be awesome!!! Yeah, but the name has to win the planet vote…maybe we should start a campaign. And no ballot box stuffing allowed in this one. The International Astronomical Union is too straight laced to do it any other way. i’m all in for leisurely fish. Me too! It needs to happen!! Wow! That was pure stream-of-consciousness brilliance! I’m envisioning a new feature at the BoFN, where we just present two random names and a few facts, and let Kerbey riff on it like nobody’s business! You have a gift. A gift of gab! Did you ever kiss the Blarney Stone? If it’s not in this country, then no. I can’t drive my sensible sedan to Ireland. And even if I could, we have limestone here. If anyone can drive a sensible sedan to Ireland, it’s you! I believe in you! Maybe there’s a shortcut across the north pole, going down through Russia, and then taking the chunnel to Ireland! Pretty sure I can get a toll road sticker and hop on the Panama Canal. This is why I believe in you! You never stop thinking of good options! I think it’d be even better if you got onto a giant cargo ship without them knowing it. Perhaps you’d get to do some stunt driving… in your sensible sedan! That sounds very Tom Cruise or Matt Damon. Good idea. Not included in that clip is the scene where Jules (Courteney Cox) talks about imitating the world’s tiniest superhero, then everyone asks “How are you going to imitate Mighty Mouse?” and then they realize she’s talking about Tom Cruise! I definitely will try the Tom Cruise Run. Courtney looks no-nonsense in hers. I’m totally in favor of the “Stream of Kerbsciousness” feature. Kerbsciousness!!!! Remember last week, when I didn’t say you were the Mark Twain of commenting, but I also didn’t NOT say you were the Mark Twain of commenting? I might have to switch that to Shakespeare now, since you sometimes go into verse, and just displayed a penchant for making up words! That’s nice to hear, especially since I couldn’t get the blurbs off the ground. Mind you, I gave it some serious thought, like the Aquarius theme “. . . Butterbeeeeean shall drive the exoplanets . . . in Melvin’s souped-up car . . . this is the driving of Peculiar Purple Pontiac, Peculiar Purple Pontiac, pecuuuuliarrrrr, pecuuuuullliiiaaaarrrrrr, pecuuuliaaaaaaaar . . .” I was also trying to do something with the Star Trek opening monologue. But it collapsed under its own weight. I miss all the jewels in the comments when I travel. Great post, Dave.